Sad. Parents do know how to ruin a good thing. 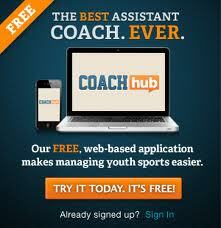 I strongly encourage anyone with the $ to find a team that has professional coaches with no kid on the team. Parents as coaches for higher level teams is trouble. Case in point, at one soccer game today a parent coach ended up screaming at our group of parents and ultimately got a yellow card. Not only did she make an a-- out of herself but she embarassed her daughter and her club. Unfortunately, I have seen paid coaches to that too. THanks for adding to the conversation. I have a daughter that a long time ago decided to swim for a sport. Sure she tried some other things early on, but swim was for her. It sucked for me as I only knew games with balls growing up. But it is a wonderful sport in that the team aspect is not very big. You don't really have to worry about playing time or who bats where in the lineup. Really at the end of the day the only decision that really matters is who swims on the 'A' relay at the state meet. And my daughter is not in that running. Some parents still find things to complain about. I have realized over time the team is run a certain way and the owner isn't going to change so complaining does no good. If something bothers me enough I will leave. It is nice though to only worry about what my daughter does although some parents still do the comparisons.